Front exterior of the house. Private Beach 75 yards from the house Stately Living Room with glorious waterviews Stately Living Room with glorious waterviews Stately Living Room with glorious waterviews Stately Living Room with glorious waterviews Entry foyer from patios From kitchen into dining and sitting area with french doors to p Dining area into kitchen Window seat in kitchen Kitchen with tile floor. Kitchen with tile floor. Master queen bedroom on second floor with A/C and waterviews and Main Floor powder room Downstairs Queen bedroom Chaise with waterviews in Downstairs Queen bedroom First floor bedroom with two twin beds. First floor bedroom with twin bed. Private Beach 75 yards from the house Private Beach 75 yards from the house Lighthouse and Coast Guard Station at the end of Eastern Point Niles beach is public and a short walk from the house Ocean view. 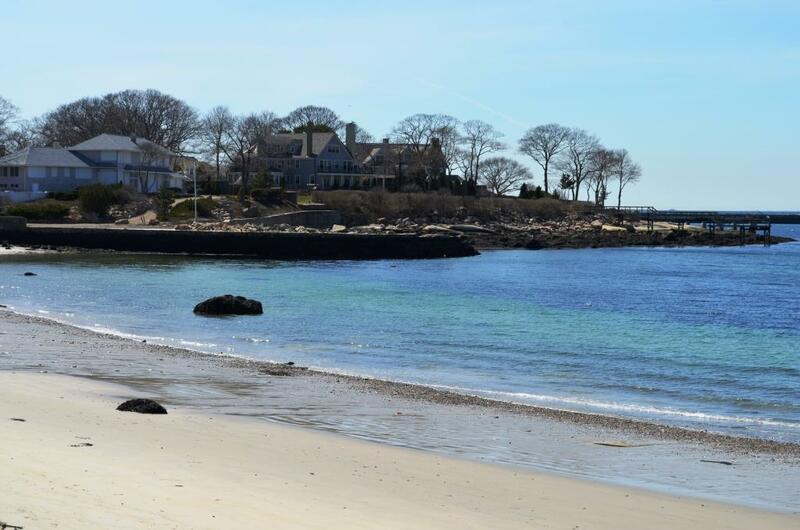 Enjoy views of Gloucester's outer harbor, and the private sandy beach, across the quiet private road from almost every room in this fantastic vacation rental home. There are two glorious slate patios that flank the front door from which you may also enjoy the views of the sunrise. On a clear day, the Boston skyline is also visible on the horizon. 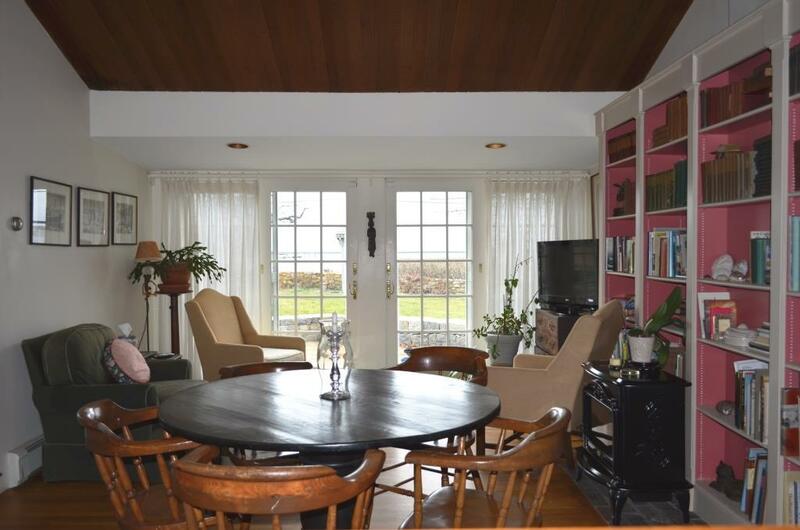 This lovely 4 bedroom/2.5 bath property is located on the desirable and private Eastern Point, known for over 100 years as a vacation spot for the wealthy and famous. 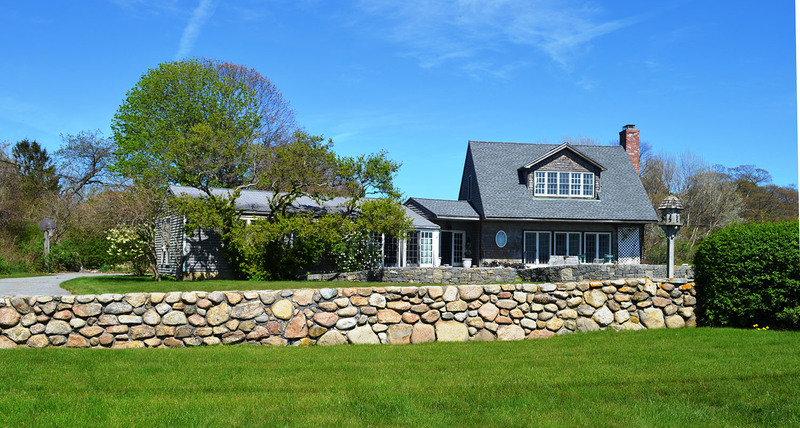 The 19th and early 20th century elite built their incredible summer "cottages" along the outer harbor of Gloucester, also known as Beauport, or beautiful port. Historically, world famous painters, poets, and dignitaries have made Eastern Point their home away from home and now it is your turn! Enter into the spacious and bright foyer and head into the stately fireplaced living room, which was professionally designed with plenty of comfy seating. French doors allow you to take in the views and access the slate patios. A powder room is conveniently located nearby. On the other side of the entry hall is the open-plan dining, sitting and kitchen areas. The rest of this side of the house consists of 3 bedrooms (one with a Queen bed and two with Twins), laundry and a full split bath that is centered by a double sink area, with a tub and shower room on one side and a private "WC" on the other. The second floor is the master suite which has a Queen bed, is air conditioned and has wonderful views and an ensuite full bath. The house is on a double lot, giving guests plenty of room to roam with privacy, making the setting even more lovely and pastoral. If a swim is in order, you may well be the only folks on private Raymond beach which is a stone's throw from the house. Slightly farther afield (less than half a mile), is the Dog Bar Breakwater and the famous Eastern Point working light house and coast guard house, or in the other direction is the public Niles Beach. The Rocky Neck Art Colony (oldest art colony in the country) is about 1.5 miles away with its many galleries, shops and wonderful restaurants. Rocky Neck is home to one of the oldest working art colonies in the country, and has been inspiring artists for more than 150 years. 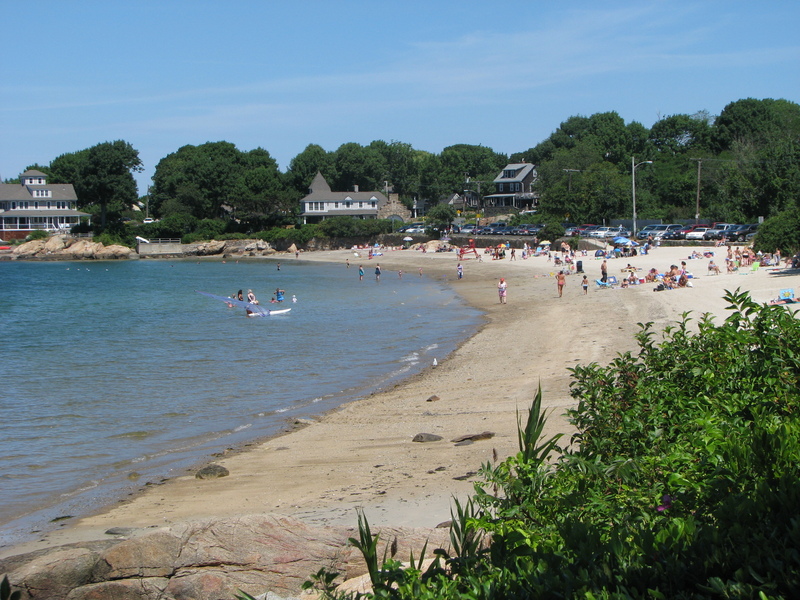 Downtown Gloucester (and its amazing Good Harbor and Wingaersheek beaches) are only a bit farther, with a myriad of things to do, and the picturesque waterfront village of Rockport is a mere 4 miles away. Hop on the train to Boston or Salem and be there within the hour. 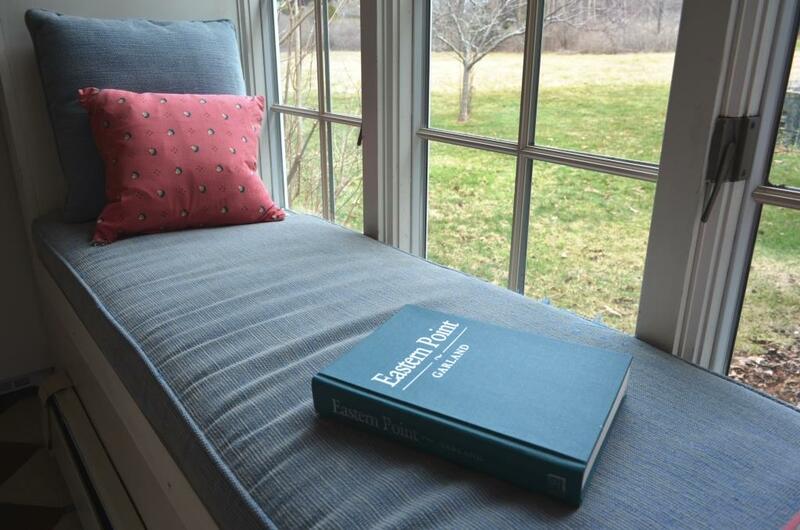 Or just stay at your home away from home, on lovely Eastern Point. ped apart after a few days. It would be nice if the owner invested in three new AND larger umbrellas. Also, the steps from the house to the patio were very difficult. Monarch butterflies, and several gorgeous sunsets. equipped and the pottery for dining was very charming. or drawers or any place to even put an open suitcase. We would have liked a grab bar in the shower/bath. were able to seat 7 people comfortably. And the seating etc in the living room and "family room/"kitchen was fine. Hi Ellen, thank you for your kind review. I am glad to hear that you were able to enjoy your stay at Eastern Point on the Sea. To make the experience more pleasurable, there are now three brand new umbrellas on the patio that are larger and the hedge has been trimmed so there is a better ocean view. We hope to host you in Gloucester again soon! Located right across the street from a private beach on Eastern Point, the setting can't be beat. Great location for walking; the Eastern Point lighthouse and Jetty are about a mile away. Best thing about the house is sitting on the extensive stone patio and looking out at the water! The house itself is comfortable; we had a party of 5 and never felt cramped. Only downside is that the only room in the house that has A/C is the upstairs master; on hot days when there is no breeze, the rest of the house got very hot and one of the downstairs bedrooms was missing a screen and the window could not be opened. Some of the furniture is older, and one of the kitchen/dining chairs had a crack in the back. Overall, we enjoyed our stay on Eastern Point and have many happy memories. With a small private beach over the road, views of the distant Boston skyline and superb ‘drop everything and grab your camera’ sunsets, the property is in a beautiful, quiet location. 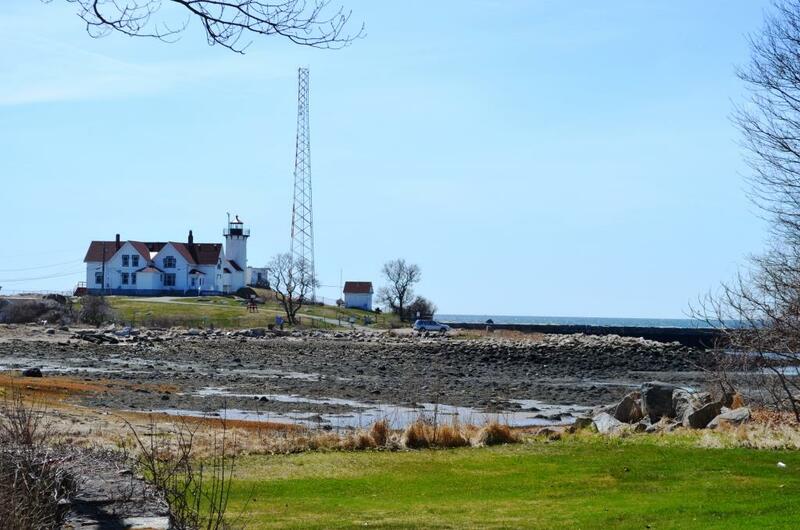 Eastern Point Lighthouse, Niles Beach and the Rocky Neck art colony are within walking distance, but Gloucester and Rockport are further afield (~4 miles) and without a car, you could feel quite isolated. The house was big enough for 5 (and, for part of our stay, 7) adults, but the small twin and single bedrooms would be better suited to children; neither had curtains and one had no curtain rails, which might have been less of an issue if the view was more scenic than the garage/drive. Some furniture and equipment needs updating or replacing, but the house was clean, most kitchen equipment worked well (we bought a cafetière and electric kettle) and the showers were good. The décor is not very modern but as depicted on the website. Only the master bedroom has air-con but despite the warm weather, the house wasn’t too hot most nights. We loved grilling and eating outside on the large stone patio, but hedges/trees block some of the view. 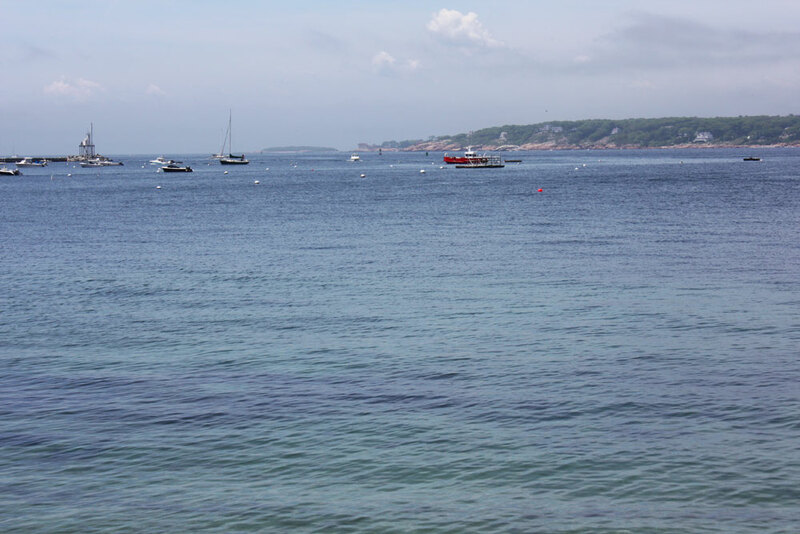 Some of our favourite activities include: morning walks to Eastern Point Light and the dog bar; boogie boarding and sunbathing on glorious Good Harbor beach; sunset sail on Schooner Thomas E. Lannon; and seafood with an ocean view at The Lobster Pool, Rockport. 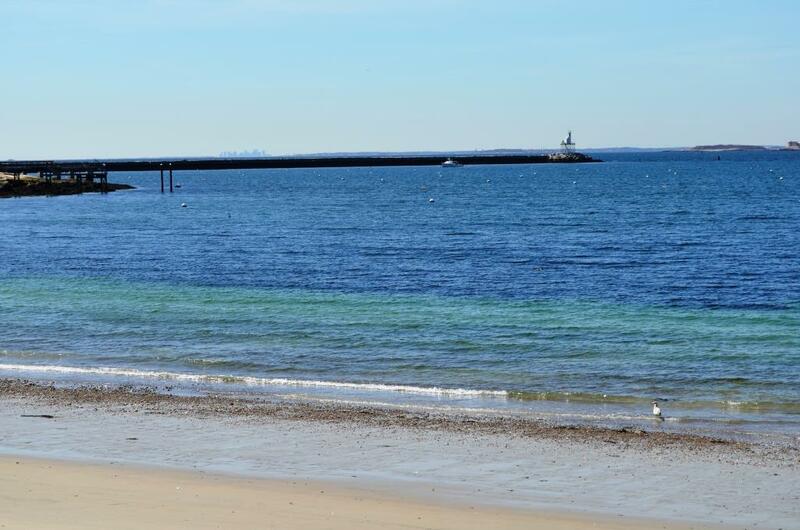 Further afield, beautiful Crane Beach in Ipswich is great for swimming.